The Hyundai Sonata is a vehicle that is available in many different packages. Each package offers different specifications. Despite which trim level you choose, you can be certain that you will be driving a stylish vehicle that has a luxurious feel to it. 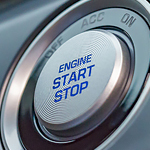 The Tech Package for SEL offers a wide variety of features including automatic emergency braking with pedestrian detection, lane keep assist, and smart cruise control with stop/start capability. The Ultimate Package for Limited is an upgraded package. Although this package is a bit more expensive than the tech package, it provides several more amenities when compared to the tech package. A few of these features include a panoramic sunroof, rear side window sunshades, an 8-inch navigation system, and rear parking sensors, among many other features. Explore your options at our Hyundai dealership.